Running a business is stressful enough without worrying about the security of your information and transactions. PayPal has world-best security technology and a team of in-house experts dedicated to keeping you and your customers safe - at no extra charge. When it comes to fraud, it’s vital to stay one step ahead. PayPal’s in-house technology is designed to predict problems before they happen, as well as detect if you’ve been a victim of fraud. 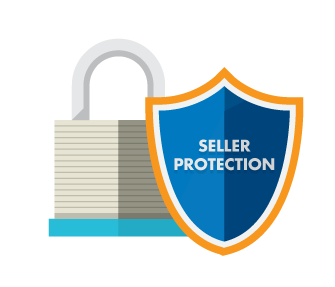 Our Seller Protection policy was built to safeguard you against buyer claims and chargebacks. For full terms and conditions, please read the Seller Protection Policy. Unlike most other financial institutions, PayPal employs a team of highly trained anti-fraud specialists who work behind the scenes 24/7 to keep your transactions safe and your financial information confidential. PCI (Payment Card Industry) and CISP (Cardholder Information Security Program) standards are the international best practice standards for data protection. PayPal works in full compliance with these standards to protect your business from fraud and loss of data. Because we handle the payment card information on your behalf, you don’t have to worry about the payment card security of your buyers or complying with PCI DSS – we take care of all of this for you. The personal and financial information stored in your PayPal account is securely encrypted to ensure your complete protection. Chargebacks happen when buyers ask their credit card company to reverse a transaction. It's often because they think their credit card was stolen, they didn't get your item, or the item didn't match the description. If we believe the chargeback is unwarranted, PayPal can work on your behalf to fight it - for free. The best way to solve problems is through communication. PayPal's Dispute Resolution system gives you and your buyer a place to exchange messages to help resolve issues and avoid claims. • Avoiding and responding to chargebacks. • Protecting yourself from identity theft and fraud.